And her worlds of historical romance. At first, Brittany Callaghan thinks she’s dreaming. Afer all, she’s not used to seeing blond, nearly seven-feet-tall Nordic gods in her tiny California town. But when the spectacular-looking Viking turns up on her doorstep, Brittany knows her dream man is very real. Though a stunning, statuesque beauty herself, intelligent and independent Brittany has struggled hard to cam respect in a man’s world. 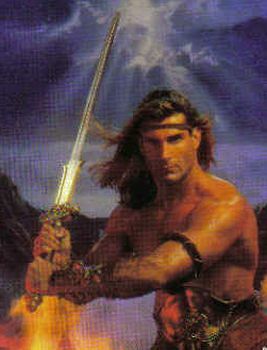 So she is somewhat taken aback when her visitor – whose name is Dalden – informs her that he is, in fact, a barbarian warrior. But Dalden is a long way from home and needs her help – and is willing to pay for it – so if he fancies himself a savage, that’s fine with her. Besides, he’s had Brittany’s blood running red-hot since the first time she saw him, and warrior or no, she’d like to get to know this gorgeous giant a lot better! But the truth is a very rude awakening for the curvaceous West Coast lady. For Dalden is exactly what he claims to be. Where he comes from, brute strength is the law, men are all-powerful, and their women always obey. As bold and brash as she is beautiful, Brittany isn’t going to be subservient to any man, even one who is everything she ever wanted in a lover, and whose very touch sets her senses afire. If she and her Norse god are ever going to get serious, something is definitely going to have to give. In search of a true and gentle love, fiery Shanelle Ly-San-Ter flees the lustful advances of the blue eyed barbarian who has been chosen as her lifemate – confused and frightened by the fevered yearnings the handsome brute has awakened in her innocent soul. 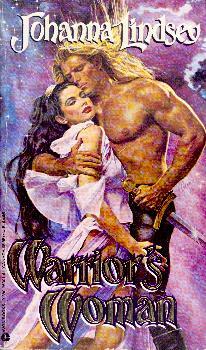 A warrior’s warrior, virile and magnificent Falon Van’yer is overwhelmed with intense desire for the spirited beauty who has vowed never to be his. And though the heavens themselves conspire against him, he will pursue his sensuous prize – and brave any peril to conquer and claim the keeper of his heart. On the planet Kystran, year 2139, a place where technology rules with no room for passion, top-notch security guard Tedra De Arr is a force to be reckoned with. Statuesque, startlingly beautiful and the height of physical perfection, Tedra has never known a man’s touch — only because no man on her planet can vanquish her in battle — or in bed. When the planet is taken over by an evil despot, Tedra manages to escape with her friend Martha — a wise-cracking computer. Together, they find refuge in an exotic world where powerful warriors reign supreme, an alien planet where the innocent but brazen Tedra challenges a bronzed barbarian named Challen. Unfortunately for Tedra, she loses — and she must become Challen’s slave, fulfilling his every wish “even where he sleeps.” But what begins as punishment soon becomes sensuous joy — as Tedra discovers what it means to desire, as she tries to no avail to extinguish her passion in order to save her world.